Available for purchase or daily rental, these 2’x6′ signs are designed to go in the back of any truck. 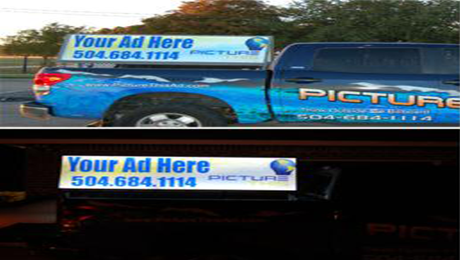 Mobile Backlit Signs provide an excellent way of conveying your message while on the road or parked so that you can take your ad to your target wherever they might be. While they look great during the day, nothing compares to the attention they demand at night.